Alabama Waterfalls can be dramatic. 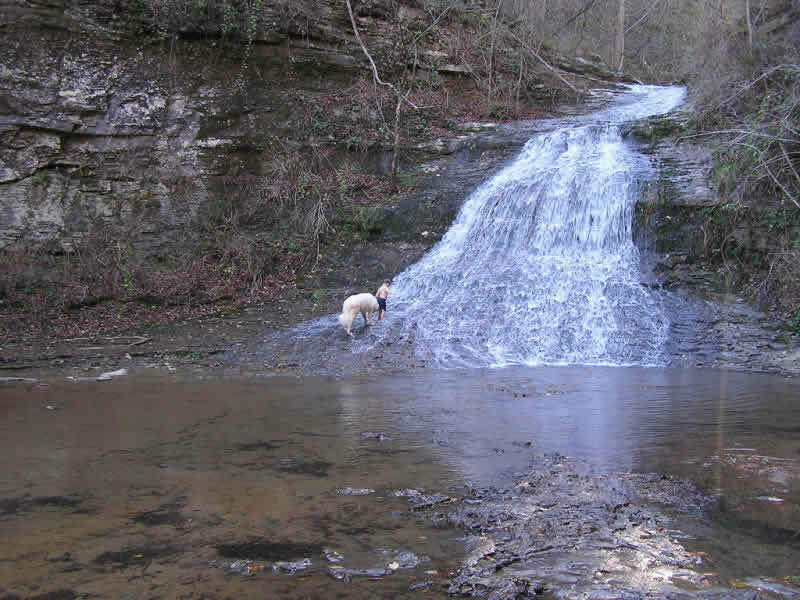 Although the picture may not show it, the distance to the top of the waterfall lip is almost 50 feet. Summer flows diminish, but never completely go away. A more moderate flow allows the kids to play. 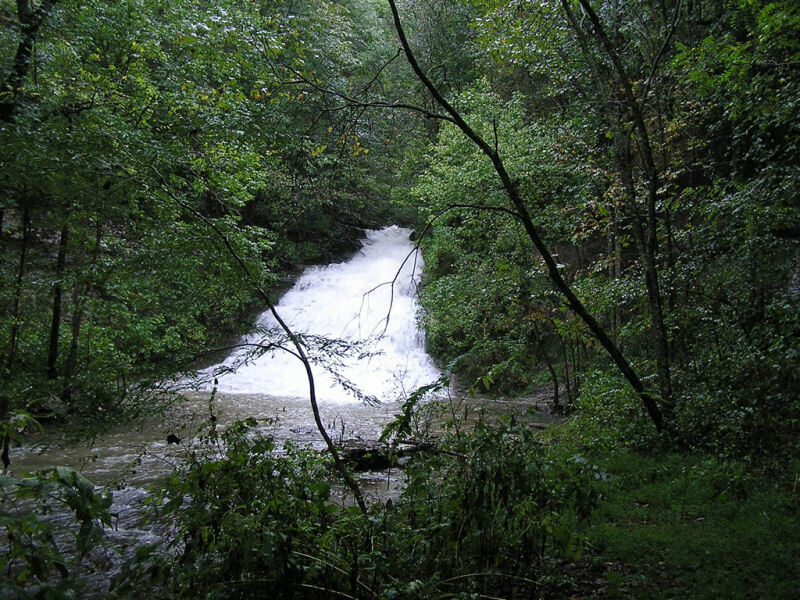 The flow rate can vary from as little as a trickle to thousands of gallons per minute. The waterfall never floods the surrounding area. But it does flow into the fields farther south. They can flood over five feet. When they do, the debris can knock the fences down. What Do You Name a Waterfall? The area where the three mountain ridges converge feeds two separate waterfalls. There is a fifty-foot fall behind the one you see here. We have never settled on a name for the falls. We thought about “Serenity Falls” but it sounds too much like a rest home or treatment center. The falling water and decline in elevation forces cooler air to sweep down through the falls. The ozone that is released helps one breathe easier and relax. It’s kind of like a Paint Rock Valley Oxygen bar with no cover charge. Once you climb up to the first lip, there are two more waterfalls above and to the right.